They say you can tell everything you need to know about a man by his suit. We can't remember who exactly said that, but we're pretty sure it was someone wearing a really nice suit. Whether you dress in fine, imported fabrics, or you get your outfits tailored perfectly to your physique, or you wear your suits right off the rack, your attire speaks volumes about you. So, it goes without saying that the best way to tell everyone you know that you're absolutely ready for Christmas isn't with a goofy card, or a Santa-themed screensaver on your work computer, but by donning this Red Christmas Suit from OppoSuits! 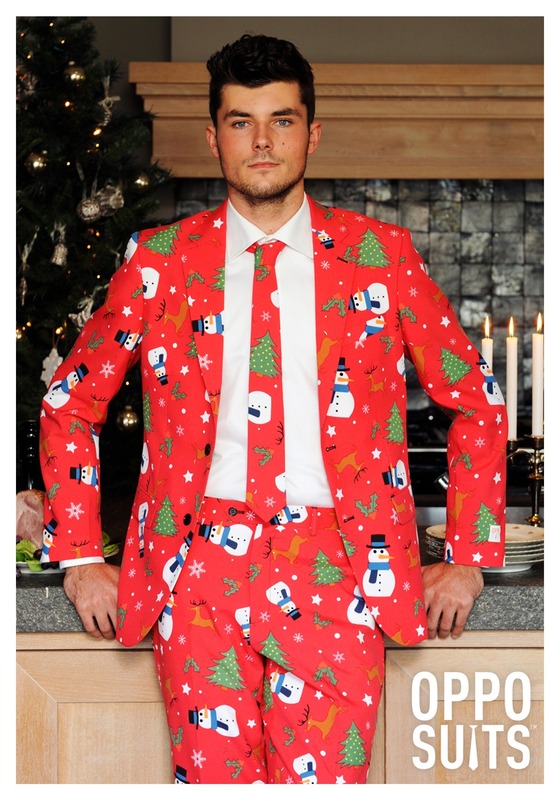 This cheerfully debonair ensemble is the perfect look for the distinguished gentleman for whom celebrating the wintry season is serious business. Anyone can just casually toss on a holiday-themed outfit, like an ugly sweater or a reindeer antler headband, for a couple of days out of the year, and be done with the festivities until next Christmas. 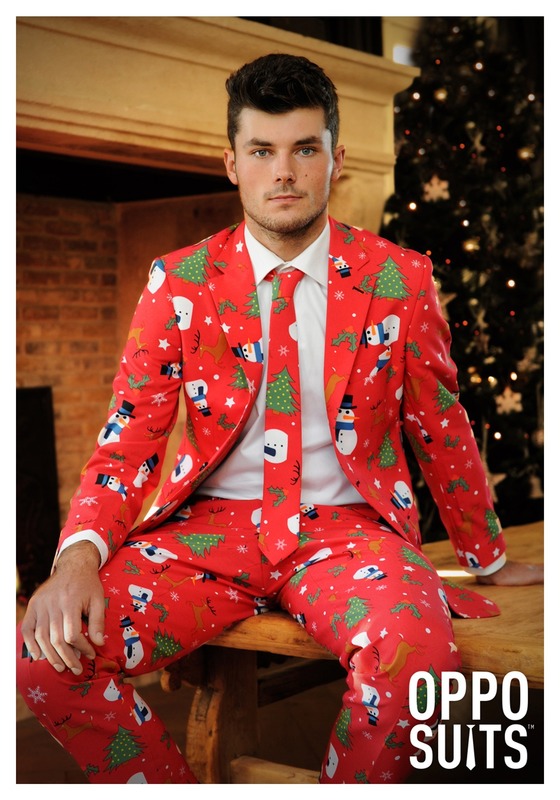 But when you're strolling around the office in a bright red two-piece suit covered with presents and snowmen, there won't be any question about who the holiday pro in the room is. 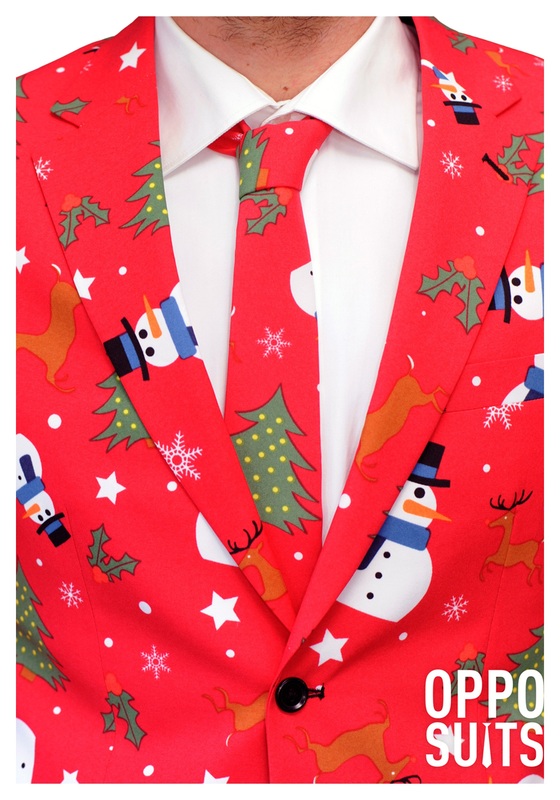 This attire may look like joyful wrapping paper, but don't be fooled, this is a genuine suit that will have you looking smart and merry at any professional holiday function. The fully lined jacket features functional pockets, and can be worn with the matching necktie in a professional yuletide style, or without it for more of a jolly business casual look. 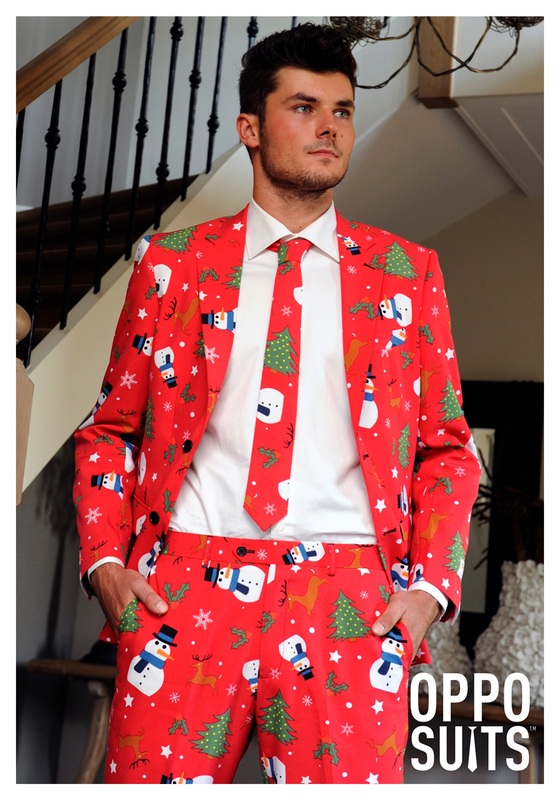 This Christmas season, what is your suit going to say about you?